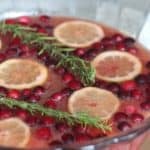 This Perfect Christmas Party Punch is not only such a beautiful drink, but it tastes beyond amazing! 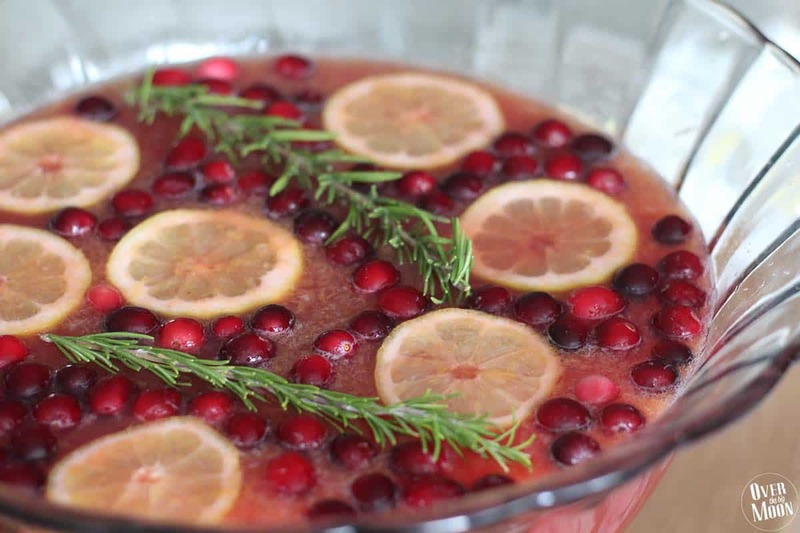 It’s the perfect punch to serve at your Holiday parties! 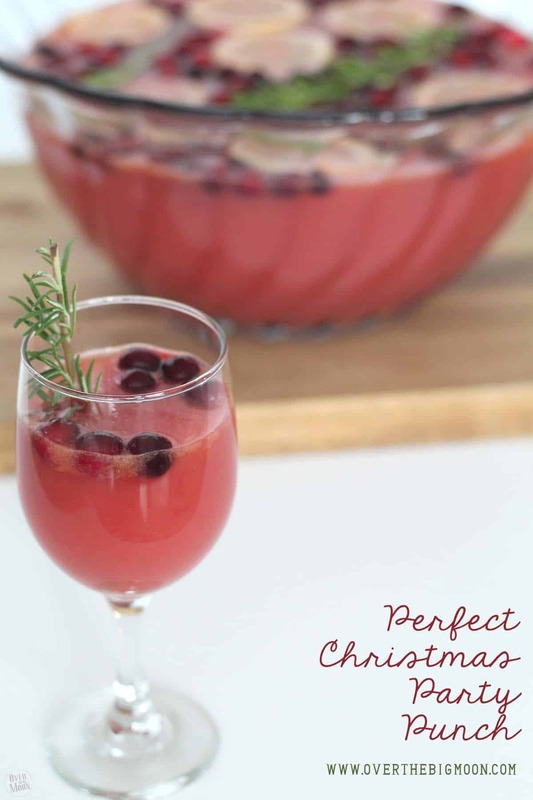 I am seriously so excited about sharing this delicious and Perfect Christmas Party Punch with you guys today! Right now this is my favorite punch out there! The flavors just scream Christmas and make you want to sing Christmas carols while you sip on it! So, get your Christmas music playing and let’s get making! I make this punch with lemon-lime soda, but if you’d like to make it an adult-only beverage, just switch out the lemon-lime soda for champagne! 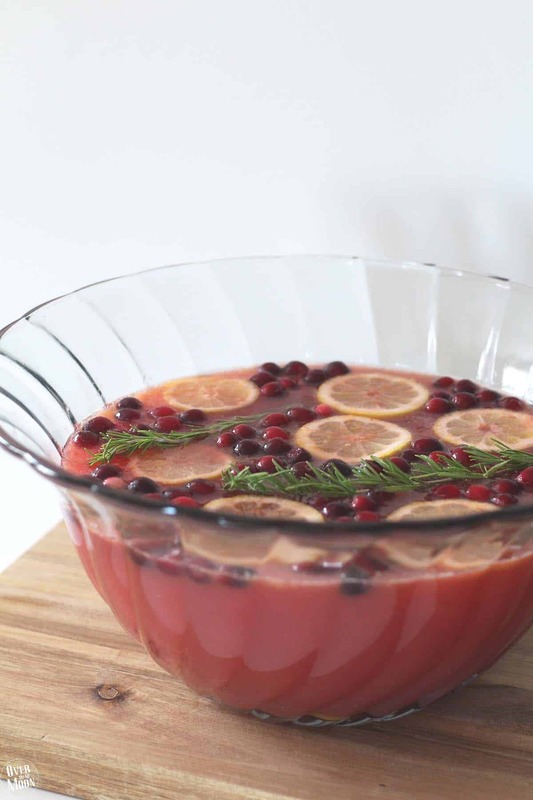 The PERFECT Christmas Punch - this is a must have at all your Christmas parties! Add 1 cup sugar and stir until combined. Add the thawed juice concentrates. Taste. If it's a little strong for your liking, add some water. I'd suggest anywhere from 1-3 cups. Keep in mind that if you are going to add ice (which I suggest), then that will help dilute it too as it thaws. So, don't add too much water! Add ice (if you prefer) and then garnish! 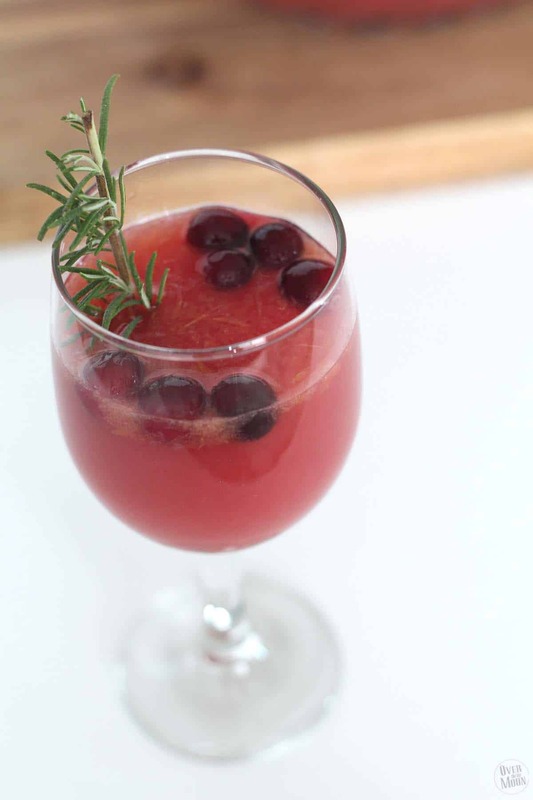 For the garnish, I like to add a bag of fresh cranberries, lemon slices (with peel) and fresh rosemary sprigs! 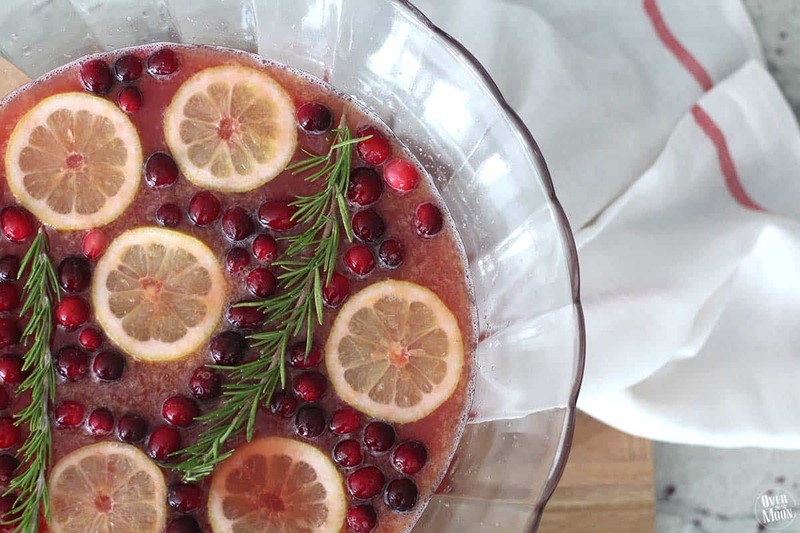 The rosemary sprigs are the best and that is what makes this punch Christmas-y! I highly suggest not omitting the garnishes - they are what really make this punch pretty! I also wanted to mention that this punch MUST be served in clear glasses, so that everyone can see all the prettiness of it! I generally serve it in wine glasses! I want to point out again, that if you want to make this ahead of time, you totally can. Just wait on adding the “bubbly” drink until right before you serve it. So, hold off on adding either the lemon-lime soda or champagne until people are ready to drink it! Enjoy this drink this holiday season! I know I will… at least 3 or 4 times! haha! If you love this recipe, I’d love it if you pinned the image below! It says 20 servings. It doesn’t say what the serving sizes are though.